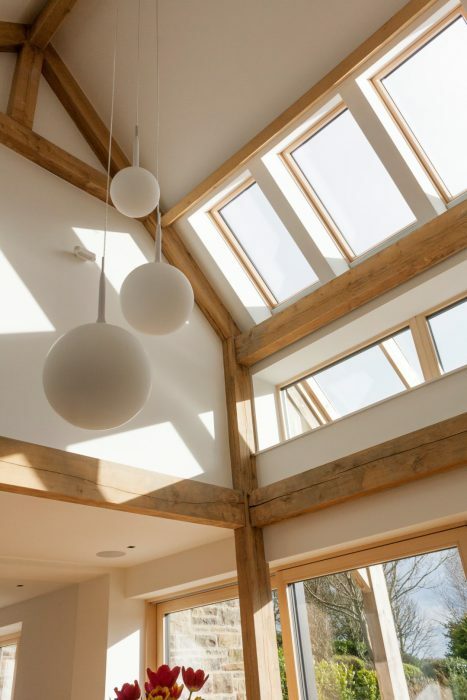 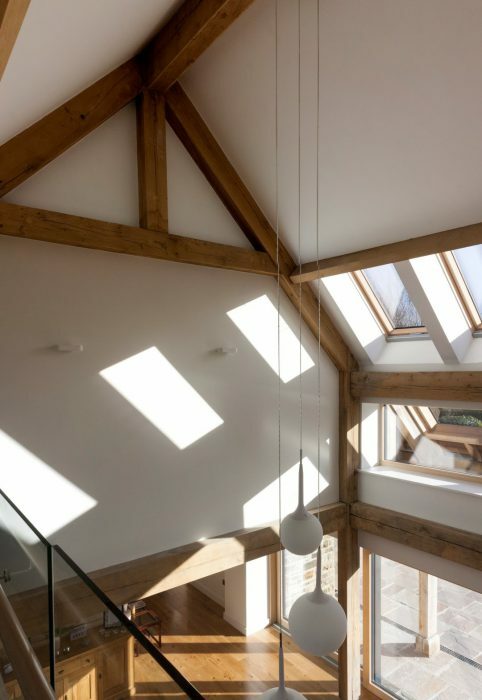 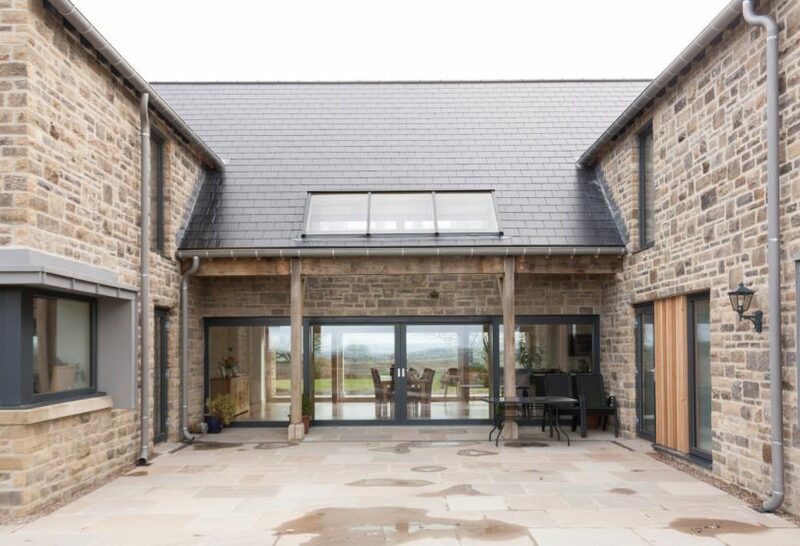 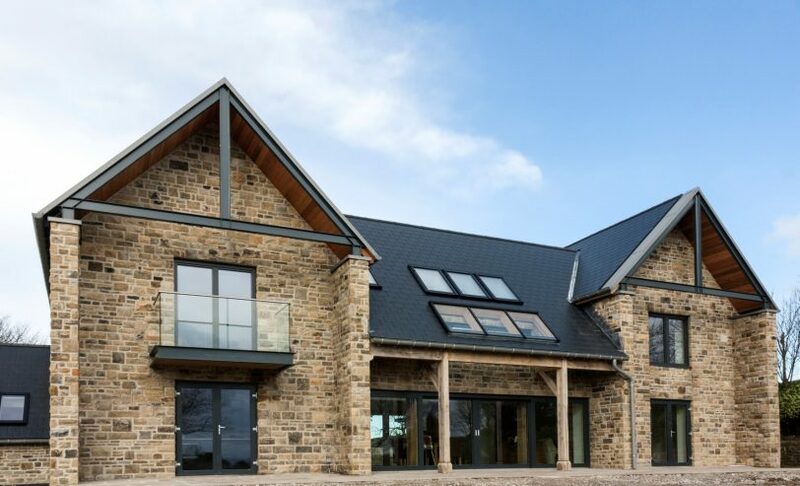 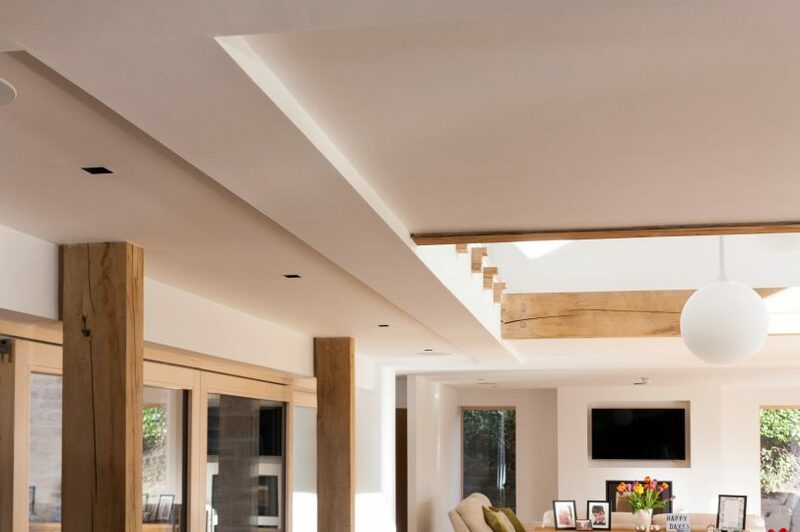 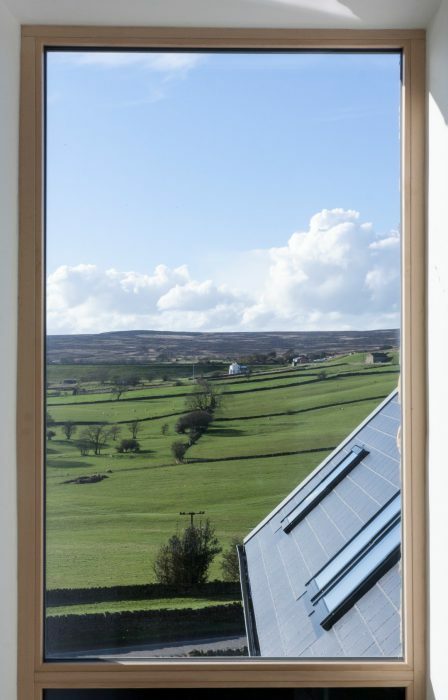 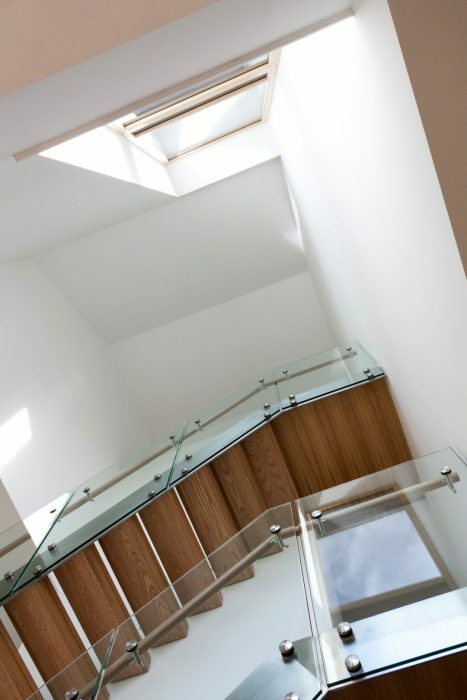 This replacement dwelling was designed to Passivhaus standards to sit within a spectacular plot with 270̊ views across the Wharfe and Aire Valleys. 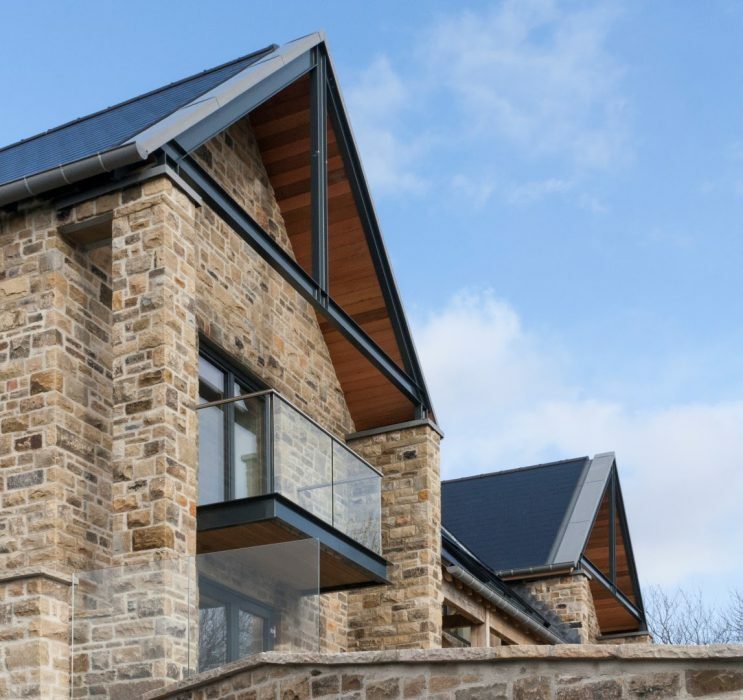 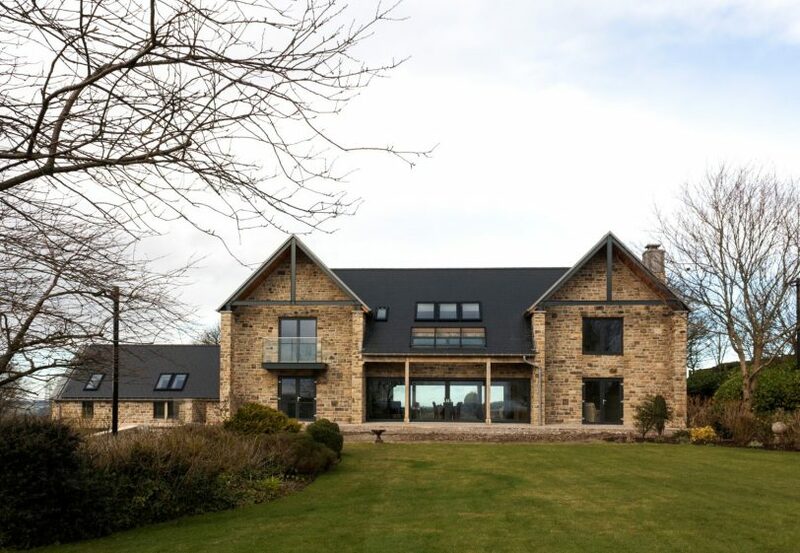 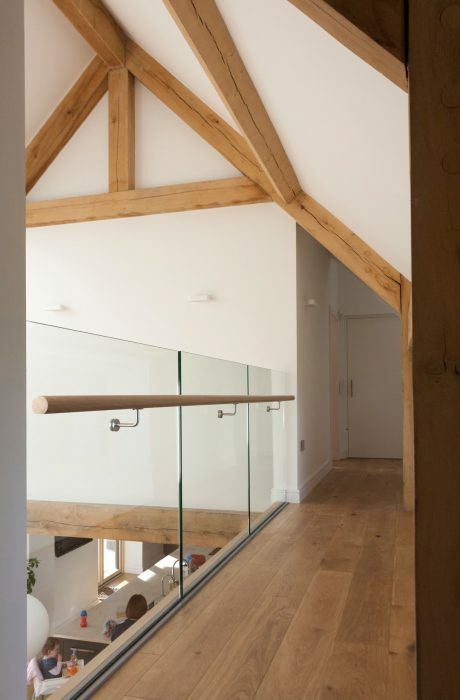 Due its exposed location, the dwelling has been detailed and specified externally to withstand the harshest weather, using reclaimed sandstone, zinc, and artificial slates (triple clipped), whilst internally the use of a central green oak frame, and careful use of natural light, has made the house a supremely comfortable home. 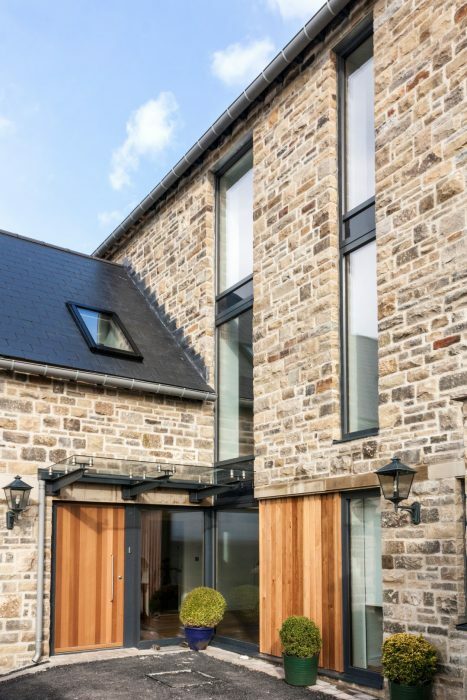 The dwelling was constructed in 142mm thick SIPS (super insulated panels) with an additional 250mm dense insulation, triple glazing, PV slate array, and full house mechanical ventilation and heat recovery system.